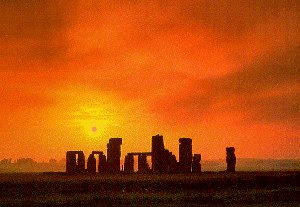 Stonehenge - Should monuments be lit at night? Calls for Stonehenge to be lit up at night are being resisted by stargazers who say it will spoil their view. Many of the world's most famous monuments are illuminated but is it necessary? Stonehenge is one of the most recognisable ancient monuments in the world. But if you're driving along the A303 at night, the site is shrouded in darkness. A debate has opened up on the letters pages of the Times over whether or not Stonehenge should be lit up in the evening. Many other World Heritage Sites, such as the Acropolis in Greece and the Great Pyramid at Giza in Egypt, do not hide their lights under a bushel. 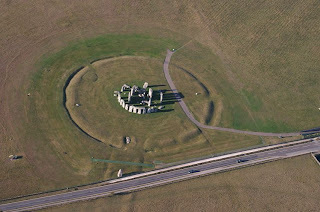 Some might think that Stonehenge's setting is far from ideal - in 1993, the House of Commons Public Accounts Committee concluded that its presentation was a "national disgrace". And Lady Mimi Pakenham, who sparked the discussion in the Times, says not much has changed since then. "It's not a pristine site because of that A303. Lights would give it dignity," she argues. The site was lit for a period, in the 1970s and 1980s, but has been dark since then. The illuminated dome of St Paul's is part of the London skyline Increasing its visibility would also spark people's interest, she says. "You are trying to educate the public and trying to interest schoolchildren in the mysteries of the ancient world, and if you want to do that you have to add some magic." Lights can bring a bit of magic to certain settings. They can be used to highlight architectural features or deflect attention away from less attractive properties. Floodlit buildings can also make glorious vistas. Last year, it emerged the producers of ITV's morning show Daybreak paid St Paul's Cathedral to keep the lights on for an extra three hours every weekday to enhance the backdrop of the show. Many landmark churches around the UK, such as Salisbury Cathedral and York Minster, capitalise on their appeal with lights. The Church of England does not have any laws on lighting but the principal objectives for floodlighting are purely aesthetic and symbolic, and have nothing to do with security. Let there be light: York Minster The Church says floodlighting makes a church a "living building" and can show off "the visible aspirations of centuries of masons and architects, including their towers and spires, built to the glory of God, to their best advantage". In the case of Stonehenge though, there are people who think that lighting is unnecessary. Stargazers say lights would destroy their view and cut the visual connection between the ancient monument and the night sky. A number of groups, including the Royal Astronomical Society and the International Astronomical Union, have been working for several years to try to preserve as dark a night sky as possible in the vicinity of Stonehenge. 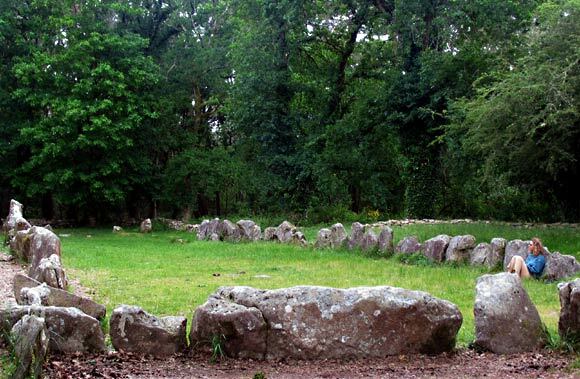 "If you ask people about prehistoric monuments and ancient astronomy in one breath, chances are they will think Stonehenge," says Clive Ruggles, professor of archaeoastronomy at the University of Leicester. "There's been loads of effort recently to restore Stonehenge to its landscape and part and parcel of that is restoring Stonehenge to its sky, to keeping it as dark as possible." And when it comes to monuments more generally, there are plenty of people who worry about the energy bills and the environmental impact of lighting things up at night. Like many organisations, the Church of England has become environmentally conscious and is trying to reduce its carbon footprint by 80% by 2050. If churches are committed to lowering their energy usage, then lighting and heating is an obvious consideration, a spokesman suggests. One way around the sticky dilemma of energy wastage versus pretty lights would be for churches to have their own energy supply, and Bradford Cathedral is opting for solar panels. The National Trust says there is a "special joy" at seeing spectacular places lit up at night when normally they'd be closed, and the experience encourages the visitor to look at these places in a different way. "The decision whether or not to illuminate places in our care will in most cases be made at a local level and these decisions will take into account local people, cost implications and energy consumption," says Sarah Staniforth, museums and collections director. Lighting the way: The National Trust's Fountains Abbey in North Yorkshire When it comes to illuminating Stonehenge, it seems safety is also a factor. 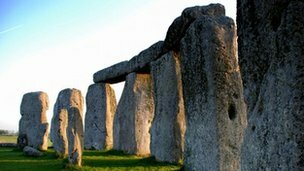 English Heritage, which manages Stonehenge, says it was lit up at night for a period in the 1970s and early 1980s but that was stopped due to an increase in road accidents caused by cars and lorries slowing down to have a look. "As there is even more traffic today on the A303, there are on a purely practical level, some serious safety issues to consider," says a spokesman. 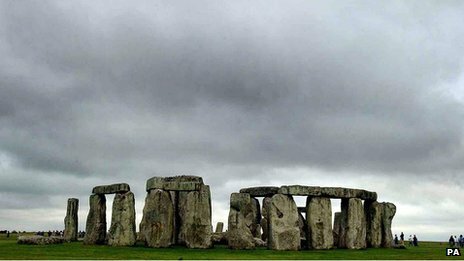 Stonehenge, the UK's most famous ancient site, may have been a place of worship some 500 years before the first stone was erected, a research has claimed. 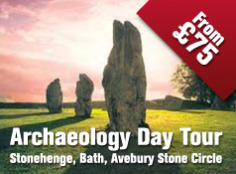 Archaeologists from the universities of Birmingham, Bradford and Vienna claim that the sanctity of Stonehenge's location may have determined the layout of key aspects of the surrounding sacred landscape. The research increases the likelihood that the site was originally and primarily associated with sun worship, 'The Independent' reported. The research has also enabled the archaeologists to reconstruct the detailed route of a possible religious congregation or other ritual event which they suspect may have taken place annually to the north of Stonehenge. In their research, the archaeologists discovered two great pits, one towards the enclosure's eastern end, the other nearer its western end. When they modelled the relationship between these newly discovered Cursus pits and Stonehenge on their computer system, they realized that, viewed from the so-called "Heel Stone" at Stonehenge, the pits were aligned with sunrise and sunset on the longest day of the year. The chances of those two alignments being purely coincidental are extremely low. 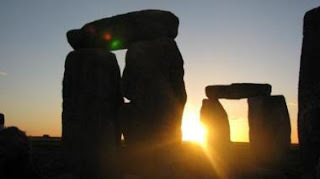 The Olympic torch will visit Stonehenge as it passes through Wiltshire. It will arrive in Southwick on 22 May before heading to Trowbridge and Bradford on Avon. The procession will visit Chippenham, Calne, Marlborough, Chiseldon, Wroughton, Royal Wootton Bassett and Swindon on 23 May. On 11 July it will visit Amesbury, The Winterbournes and Salisbury. 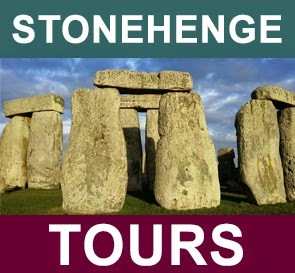 It will visit Stonehenge, Wilton, Barford St Martin and Fovant on 12 July. A special celebratory event will also take place in Salisbury on 11 July. Peter Carson, head of Stonehenge, where the torch will appear early in the morning, said it was particularly relevant for the relay to visit the site as it had played a part in showing the culture and history of the UK during London's bid for the Olympic Games. "We're delighted that having been part of this for the past seven years, the torch will come and visit us," he said. Councillor Keith Williams, of Swindon Borough Council, said: "It's great that Swindon is one of the places that's being visited and we've got plenty of Olympic-themed events being planned in the run-up to the Games." Reporting from Carnac, France— St. Cornelius, known as Cornély in France, opens his arms in blessing from a niche above the old stone church in Carnac. Legend has it that he was persecuted by Rome for his opposition to animal sacrifice and chased by soldiers all the way to the Brittany coast. Trapped, he turned around and changed them into 3,000 rough-hewn stones that still stand in military rows on a chain of fields just north of here. There are other hypotheses about the Carnac boulders, carbon dated to 4000 to 2000 BC. They mark one of Caesar's camps during the Gallic Wars from 58 to 50 BC. Or they were snake worship sites for ancient Celts whose territory included parts of England and Ireland as well as Brittany. Or maybe they were goblin lairs and fairy treasures. But St. Cornelius works for me. It's the same story with other prehistoric monuments in Western Europe. No one knows for sure who built them or why, although sites have been found, from Scandinavia to Spain, that have various configurations: upright stones, known as menhirs or megaliths, standing alone or in groups, as at Stonehenge, England; dolmens, Neolithic tombs made of massive boulders, laid on top of one another; and tumuli, or artificial mounds, where ancient man buried the departed under heaps of rubble. My first encounter with these mysteries was at Avebury on the Wiltshire moors in England, a medieval village surrounded by concentric circles of standing stones. When Christianity arrived, villagers desecrated the megaliths, believing them evil. But on a recent trip to Brittany — whose coast must have fit together with that of England like a puzzle piece before a lowering sea created the English Channel — I discovered that the Carnac megaliths fared better. Although sometimes mined for building material or marked with Christian crosses, they have otherwise escaped the wrath of superstitious zealots in one of the earliest instances of French laissez faire. It takes about four hours to drive from Paris to Carnac, which occupies a segment of the ragged Brittany coast near Quiberon Island and the mouth of the Morbihan Bay. Once one of the poorest, most isolated corners of France, it is now one of the most chic, not because of the megaliths but because of the beaches colonized almost equally by French and English vacationers. Carnac's old port, La Trinité-sur-Mer, is as full of sails and topsiders as Hyannis, Mass., reached along a waterfront road lined by handsome summer houses, thalassotherapy spas, nature preserves, salt marshes and sandy Atlantic Ocean shores. A tourist train takes sightseers along the Carnac Riviera and through the town center with its Museum of Prehistory, market square and 17th century church dedicated to St. Cornelius. The first thing I saw when I drove into town was the whitewashed chapel of St. Michel atop a 30-foot tumulus that covered a tomb that contained prehistoric axes and ornaments. At its foot is the Hôtel Tumulus, built as a residence in 1900 by St. Michel excavator Zacharie Le Rouzic. It's still run by family members and thus an ideal place for amateur archaeologists. I checked into a simple, sunny room under a gable, swam in the pool and dined on fresh fish in the veranda restaurant. The next morning I started at the Maison des Mégalithes, an interpretive center for the Carnac stone alignments. This would have delighted Prosper Mérimée, the inspector-general of French historical monuments who encouraged scientific study of the site in the early 1800s. The center's exhibitions and video presentation clarify important facts. For instance, four to six millenniums ago the forest-bounded fields where the stones stand would have been an empty moor, like those around Avebury. At that time, man had learned to farm and domesticate animals, placing him in the stage of development known to archaeologists as the Neolithic, which occurred between the hunter-gatherer Mesolithic and the Bronze Age. This corner of Brittany is thought to have supported 30,000 to 50,000 Neoliths, who, their remains suggest, were at least a foot shorter than modern man. Besides farming, they traded widely, importing decorative objects found in tombs from as far away as Italy and Spain. But it's what Neolithic man did at the Carnac alignments, which begin just north of the interpretive center. Altogether, there are seven fields of standing stone, stretching northeast for about two miles. To see them, most visitors drive slowly along the country road that parallels them, pausing at specific alignments for closer inspection, though most are surrounded by chain-link fence. I made my first stop at Kermario, which has 982 menhirs laid in straight rows, increasing in size from east to west where some are almost 10 feet tall, and the ranks give way to what is thought to have been a temple compound. 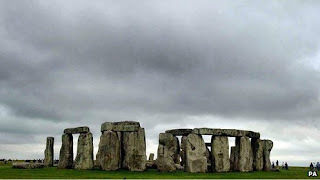 On a stormy night the stones might have struck me as eerie, but on a dewy spring morning, with fields carpeted in new grass and dandelions, I felt only awe at the engineering and some fellow feeling for Neolithic man who, although pagan, was clearly religious. An old mill and lake separate Kermario from Le Manio, a smaller alignment that includes the Manio Giant, a lichen-covered granite slab 18 feet tall on which snake engravings are dimly visible near the base. The Manio Giant is not the biggest megalith in the region. That honor belongs to the Grand Menhir, erected around 4500 BC on the nearby Locmariaquer Peninsula, which I visited later that day. It stood 60 feet high before broken into the four massive pieces now lying in a field near another tumulus and decorated dolmen. Archaeologists think the granite slab, weighing about 280 metric tons — more than 600,000 pounds — came from quarries about six miles away. To put the feat of its transportation in perspective, an experiment in 1979 showed it would take 200 people to drag a 10-tonne block (about 22,000 pounds) 300 feet in a day. Monoliths like the Grand Menhir, tumuli and dolmens are scattered around southwestern Brittany. I saw signs marking them wherever I drove. But to see the great burial mound of Gavrinis you have to take a sightseeing cruise on Morbihan Bay, as I did, because the site is on a small, uninhabited island that would have been a hill in the Neolithic era when the sea level was about 20 feet lower than it is today. The boat rounded the point where Gavrinis stands but did not stop, a pity because the walls of the excavated chamber inside are richly engraved with emblems that resemble writing, according to "Notes From a Journey in the West of France," by monuments minister Mérimée. 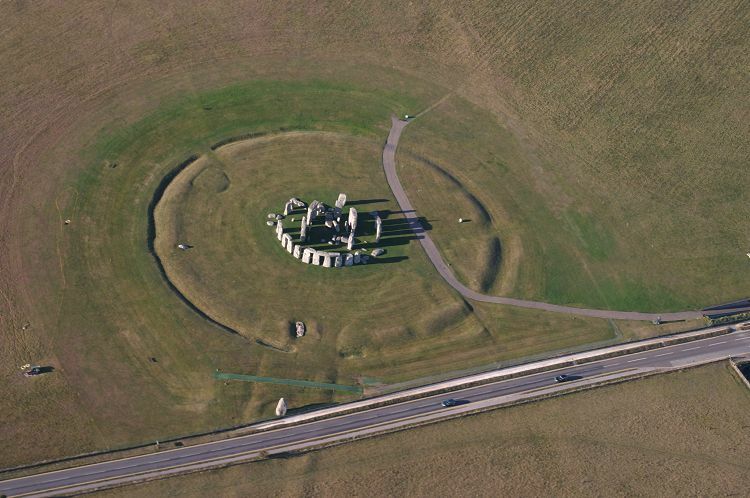 A PLANNING inspector has granted permission for a section of the A344 at Stonehenge to be closed and returned to grass. English Heritage wants to return the area to grass as part of plans for a new visitors’ centre at Airman’s Corner and an inquiry was held in June. Inspector Alan Boyland attached two conditions to the permission, to improve Longbarrow Roundabout and for confirmation of details regarding pedestrian and cycle routes along the A344. A separate inquiry was held in September to consider Wiltshire Council’s proposals to close byways surrounding Stonehenge and another section of the A344 to all vehicles and a decision is expected later this year. The new visitor centre has got planning permission and despite funding problems English Heritage hopes the centre can be completed by 2013.